Permionics makes membrane water purifiers with ultrafiltration UF, Nanofiltration NF and Reverse Osmosis RO membranes. Permionics has been, so far, the only manufacturer of membranes in India. This is the link to the official website of Permionics water purifier. The advantages of membrane water purification is now an accepted fact universally. Membranes do not try to kill the germs in water by using chemicals or UV rays, but instead removes the bacteria and viruses in water. Bacteria and viruses cannot go through the membrane holes or pores, because the bacteria and viruses are much larger than the holes or pores in the membranes. So water that has passed through a membrane water purifier is completely free of all bacteria, viruses, parasites and their eggs. Membrane water purification is the best method of water purification since it physically removes all the germs dead or alive, from the water. This is not the case with water purifiers using UV or Germ kill chemicals. Hopefully the germs will die with the UV or chemicals, but their bodies remain in the purified water. If those bacteria, viruses or their eggs are not fully dead, then they will come back alive, in your stomach may be. As we have explained in our page on Membrane water purification, there are three main types of membranes used in water purification - ultrafiltration UF, Nanofiltration NF and Reverse Osmosis RO membranes. UF has the biggest holes or pores of the three membranes. UF holes or pores are much smaller than the smallest of viruses and it will block the passage of all bacteria, viruses, parasites and their eggs. NF has smaller pores than UF so it not only blocks all bacteria, viruses, parasites and their eggs, but also blocks passage of larger molecules like those of Arsenic, Calcium, Magnesium, Heavy Metals, etc. but will allow smaller monovalent salts like those of Sodium Chloride to pass through. NF is the ideal water purifier where the water TDS is not too high, not more than 600 ppm TDS, because it needs much less pressure than an RO water purifier and also the waste water is much less. RO is suitable to purify waters with higher TDS and gets rid of all impurities in drinking water. Permionics have the full range of all three membrane water purifiers. Permionics rightly has chosen to stay away from the marketing gimmicks of adding UV to membrane water purifiers. UV is no match for membranes when purifying water. Buying a water purifier with a UV after membrane purification is just waste of money. 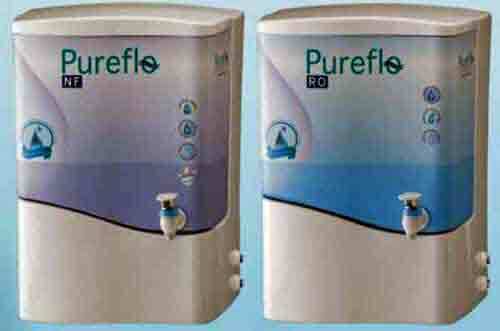 Permionics Pureflo UF water purifiers comes in three models as show in the picture below. The models in the picture are the Pureflo UF – ECO on the left, Pureflo UF in the middle and Pureflo UF – 80 on the right. Ther pureflo UF - ECO is an online UF water purifier without a purified water tank. This is a very economical water purifier and the cheapest water purifier in the Permionics Pureflo water purifier range. Better than boiled water: In boiled water the dirt, boiled germs and their eggs remain in the water, while Permionics UF Membranes filter out all dirt, germs and their eggs. No annual maintenance contract A unique online flushing system drains out daily all blocked germs and dirt which keeps the Permionics purifier in top condition for many years. 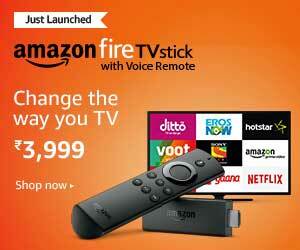 Long lasting: With proper care can work upto 10 years before major cleaning is required. Fail Safe: will never give impure water. Ultraviolet UV water purifiers cannot claim this, because with time, the UV light gets blocked and becomes ineffective and the water flowing through the UV purifier may not be safe. Filters out even eggs of Germs: Removes from water the highly Chlorine resistant eggs (cysts) of Amoebic dysentery and Gastroenteritis germs - Giardiasis and Cryptosporidiosis. Some water purifiers use very strong, harmful to human consumption chlorine chemicals, to kill the germs, but their eggs (cysts) are not destroyed. The eggs (cysts) have very hard protective shells which cannot be penetrated by chlorine chemicals. Also the dead germs and their active eggs are not filtered out of the water in these purifiers. As good as RO purifier: Ultrafiltration membrane water purifiers are as good as Reverse Osmosis water purifiers when used with public or Muncipal supplied pipe or tap water. Piped tap water will not have problems with dissolved salts of toxic chemicals like Arsenic or Heavy Metals. RO is only required when the water has too much dissolved salts. Membrane based water purifiers are the best Water Purifiers because they filter out all bacteria, viruses, parasites and their eggs. This is because membranes are such fine filters with pore size (filtering hole size) less than 0.01 micron. A micron is one millionth of a meter (0.000001 meter or 1/1000 of a milli-meter). The size of the smallest virus, the very smallest of germs, is more than 0.02micron in size and they are blocked by membranes whose pore size is less than 0.01 micron. Other water purifiers try to kill the germs in water by using Chlorine Chemicals or by using only Ultraviolet light. They do not publish the micron rating of their filters - but it is believed to be in the range of 5 microns. Thus they can give clear looking water by filtering out the larger dirt particles in the water, but are unable to filter out viruses, germs and their eggs. So they depend on their germ killing mechanisms to purify drinking water. The supposedly dead germs and their eggs are not removed and remain in your drinking water. The germ killing ability of these water purifiers have been in question for some time. For example, cysts of Giardia and Cryptosporidium are not killed by chlorine. Click here for details. There are several other instances where Government research institutions have tested the germ killing efficiency of water purifiers and found most of them could not be sure of killing all the germs in drinking water. It has also been reported that purifiers which try to kill germs with chemicals, do so by using chemicals which are harmful for human consumption. Here are the links to these reports. UV light inside these purifiers gets blocked when scale forms on the UV bulb, due to heat from the bulb. The scaling problem is intensified when UV unit is 'on' and there is no flow of water through it. If the UV bulb is kept 'off ' then chances of bio-growth like algae or slime, forming on the glass around UV bulb exists, and this could block the UV rays. Therefore either 'on' or 'off ', UV can become ineffective after some time. The coconut tree uses membranes in its roots to purify dirty ground water surrounding its roots, and sends up the purified water to fill its tender coconuts. Membranes are such good water purifiers, that tender coconut water can be injected directly into people as an Intravenous Transfusion fluid in emergencies. (The intravenous use of coconut water: The American Journal of Emergency Medicine). During World War 2, many wounded American soldiers were saved in the Pacific War Zone battlefields, using raw tender coconut water as the drip plasma, the Intravenous Transfusion fluid. The Permionics membrane base water purifiers have been in the market for about 30 years, but they were never aggressively advertised. Permionics has the distinction of being the first and only manufacturer of membranes in India (since early 1980s). It should be noted that an Indian Scientist, Dr. Srinivasa Sourirajan, while doing research at UCLA (University of California, Los Angeles) co-invented Water Purification Membranes in the early 1960s. Dr. Sourirajan visited the Permionics factory in its early days. Permionics has successfully used membrane technology in several applications such as milk concentration, whey fractionation, waste water recycling of dye industry, etc. Permionics pioneered the use of Membrane technology in the Pharmaceutical industry by installing Asia's first membrane based system for concentration and purification of Streptomycin in 1981.